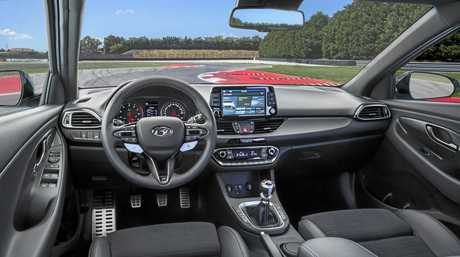 PACKING speed and performance never before seen in a Hyundai, the i30 N will arrive during April this year priced from $39,990. 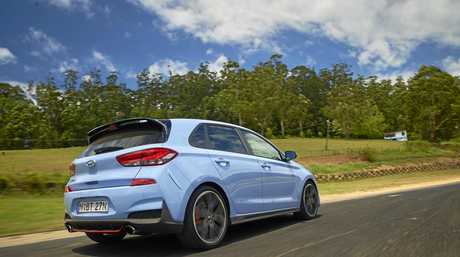 The turbocharged four-cylinder hot hatch will belt out 202kW and 353Nm (378Nm with over-boost), which is close to the same outputs as the old V6 Holden Commodore - shoehorned into a much lighter and smaller shell. 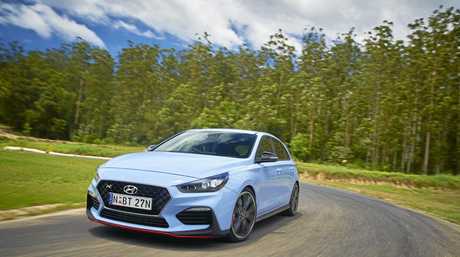 Hyundai's pocket-rocket undercuts key rivals, including the new Honda Civic Type R ($50,990 plus on-roads), VW Golf GTI ($41,990 plus on-roads) and the upcoming Renault Megane RS (expected to start from $45,000). Only available as one 'Performance' model with a manual transmission, there will be two option packs. Those keen to get one of the first vehicles can put their money down now with only 300 units arriving in the initial shipment. Dealers will take details of interested customers, or they can fill in an online registration form. Early tests of the car overseas have hailed the i30 N a game-changer for the brand. Australia won't take the basic model, which generates "only" 184kW. "We're confident in the i30 N," said Hyundai's chief executive officer, JW Lee. "We've set the MLP at $39,990 to ensure there are no excuses. 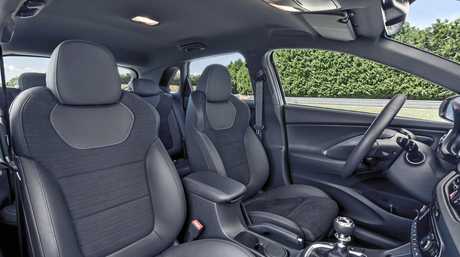 We encourage every genuine enthusiast in the hot hatch market to drive it and make their mind up based on the product's merits. 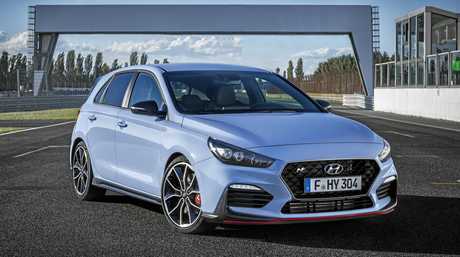 The Hyundai i30 N was honed and developed under the eye of former BMW M division guru, Albert Biermann who has been with the South Korean brand for nearly two years. 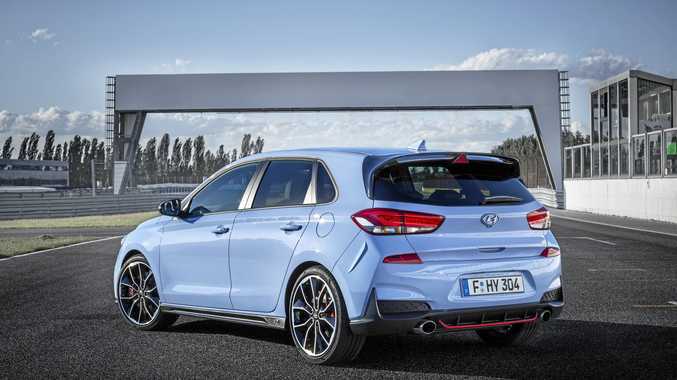 "The Hyundai i30 N has been developed for no other purpose than to deliver maximum driving fun to our customers in an accessible high-performance package," Biermann said. "With the high-performance N models we will enhance our brand's appeal with emotional products that cater to the needs of people who love to have a smile on their face when they drive their car on a winding road and listen to the sound of the engine. That's why we measure high-performance in BPM, heart beats per minute instead of only RPM." 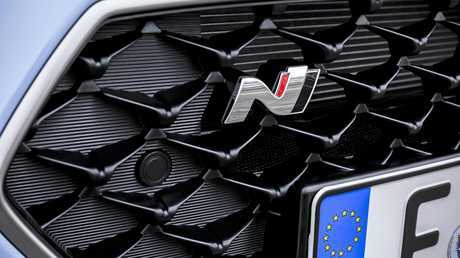 ENGINE 2.0L turbocharged four-cylinder 202kW/353Nm. TRANSMISSION 6 speed manual, FWD. OPTIONS: Metallic/mica paint $495. Luxury Pack $3000. Luxury Pack with panoramic sunroof $5000. N race computer, Vehicle Stability Management, overboost function, Hill-start Assist Control (HAC), performance brake package, auto dusk sensing headlights, rev matching function, rear park assist system, N exterior styling, rear view camera, 19-inch alloy wheels, LED daytime running lights, - Pirelli P-Zero HN tyres, LED headlights and front indicators, 8-inch satellite navigation system, rear spoiler with brake light, digital radio, side skirts, Apple CarPlay and Android Auto compatibility, alloy sports pedals, sports front seats, 4.2-inch TFT colour Supervision cluster. Hyundai’s fastest ever car...but will it come Down Under?